Need help? We have the solution! Here is your opportunity to own a vehicle! 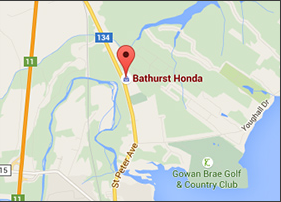 Let our financing specialists at Bathurst Honda help you get your credit rating back on track. If you’ve had financial difficulties in the past or are currently experiencing difficulties negatively affecting your credit, we can help find a financing solution for you. There’s a whole range of options, all tailored to you. Contact us today to find yours. Did you know that making multiple requests at multiple dealerships can affect your credit? Our financing department accepts and considers all requests and has one of the best credit acceptance rates in New Brunswick and Canada! Our online credit application is quick and easy and can put you on the fast-track to getting that perfect vehicle with the ideal payment plan. 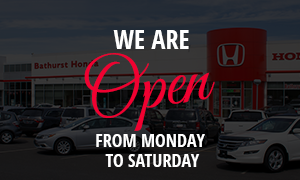 Our team works with you throughout the entire purchase process from start to finish, ensuring you drive home absolutely satisfied. Contact us today to improve your financial situation and restore your credit now!